Take a day for yourself during the school holidays and bring the kids down to one of our craft days! 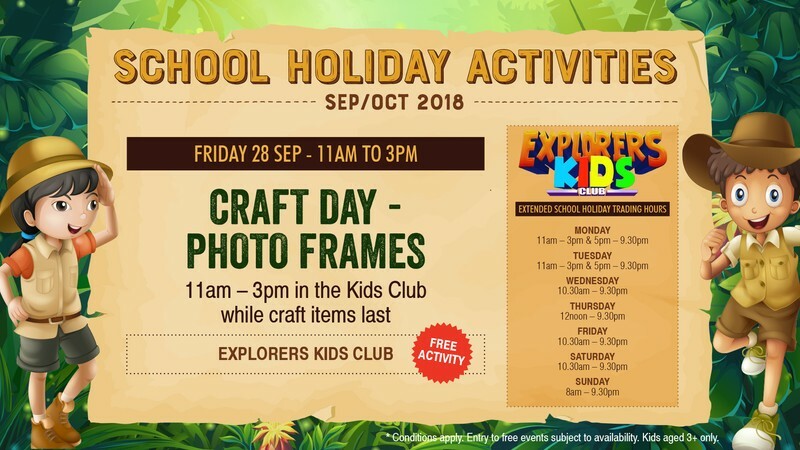 We will be decorating photo frames in the Explorers Kids Club. This free activity is only available while craft items last. (Ages 3+. This is a fully supervised event and no bookings are required).